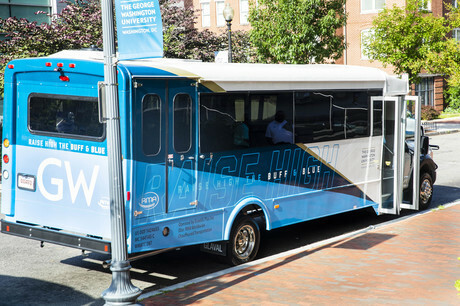 GW Office of Transportation Services is committed to providing reliable, safe, transportation services that enhance the quality of life while promoting sustainability, accessibility and mobility from campus to campus for the GW community. Please note that shuttles schedules are subject to change to accommodate the constantly changing needs of students, faculty, and staff. Please be advised, there may be circumstances, such as traffic, construction-related detours, weather, etc., which may delay the buses and negatively impact the schedule. For best planning we recommend arriving at the stop at least ten minutes early. During university observed holidays and breaks shuttles may run on alternative schedules.